Round long wallets of a very chic diamond are available from Chanel! 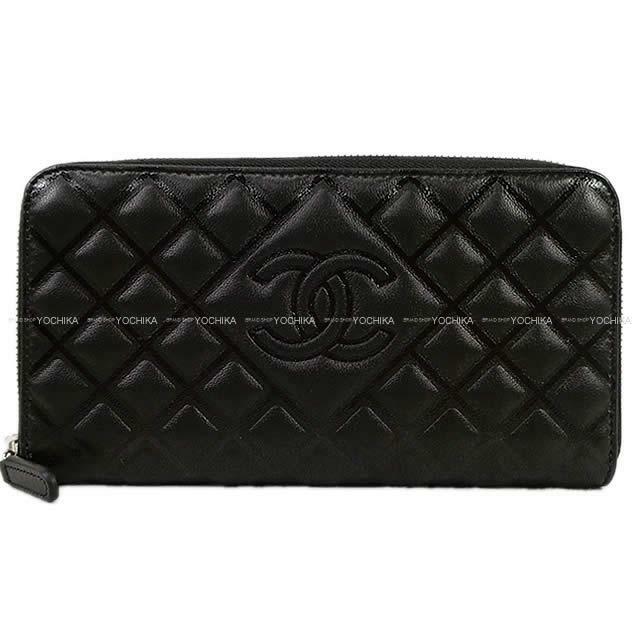 The material is a wallet of a soft, good-quality lambskin like Chanel. The soft material of the lambskin improves sense of quality! The color is basic black in Chanel! When is easy to use the form; a type with a round fastener of the extreme popularity. It is easy to watch the contents, and the fastener which it is easy to arrange a receipt and the receipt, and greatly opens is convenient! Storing of cards in particular is distinguished! Even if the big coin case to open and close is very convenient, and small change increases, a fastener is all right! CHANEL fan without passing over!